"This book offers a well-argued and insightful critical assessment of the shortcomings of international trade and competition rules in tackling interventionist State measures in the context of an economic crisis. 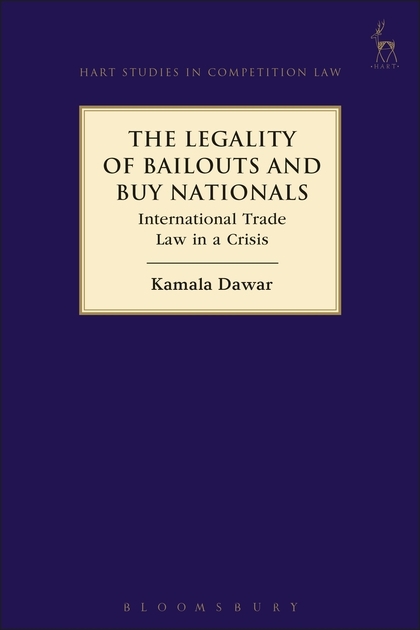 Dawar offers an evidence-rich account of the challenges that State protectionism creates for international trade liberalisation and for the protection of competition in international markets. Her insights will be particularly interesting in the context of current events leading to another surge of State economic interventionism, both for academics and for policy-makers with an interest in international trade." "This book bursts the bubble of the self-congratulatory attitude that existing institutions, which were set up to discipline governments from a race to the bottom on economic policy, worked well after the financial crisis. These institutions may have prevented tariff wars, a big achievement compared to the time of the Great Depression. But they went along with the subsidies and state aid that governments put in place after 2007. Such flexibility on economic policy is essential in turbulent times. But these institutions are undermined if flexibility comes with a race to the bottom that shifts money away from policies for the more marginalized sections of society. At a time when the left behinds are changing the political landscape of the world, Kamala's book debunks the myth of the success of existing institutions in containing the economic fallout of the global financial crisis. It gives a sobering warning of what might unfold when institutions deal with economic challenges by turning a blind eye to their own rules for checking unfair competition." 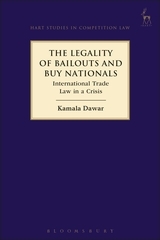 This book examines the international regulation of crises bailouts and buy national policies. It undertakes this research with specific reference to the crisis years 2008–2012. The book includes a comparative analysis of the regulation of public procurement and subsidies aid at both multilateral and regional levels, identifying the strengths and weakness in the WTO legal framework and selected regional trade agreements (RTAs). Ultimately, the aim of this work is to provide options for improving the consistency of these laws and the regulation of these markets. This is of immediate relevance for good economic governance, as well as for managing future systemic financial crises in the interests of citizens: as tax payers and consumers. Part II: The Case Studies International Trade Law in a Crisis: Who Makes it and Who Breaks it? IV. Hodie tibi, cras mihi? V. To the Health or the Stealth of Nations? Kamala Dawar is Senior Lecturer in Law at the University of Sussex. Photo courtesy of Pat Noser.